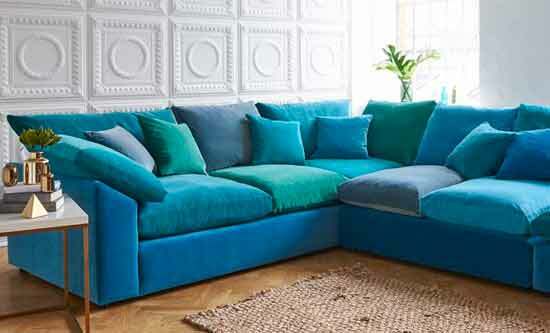 Sofas and Stuff's latest addition to our Corner Sofa range. The Big Softie is large, comfy and always bang on trend. Big enough to seat 4 adults comfortably the big softie modular unit would look great in an home. The Alwinton is elegance personified. It looks great in any living room. Soft and comfortable to sit on, yet strong enough to withstand everyday family life. 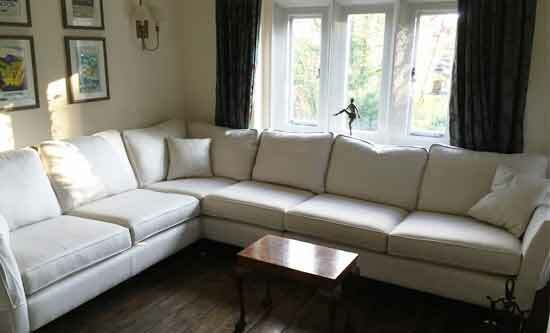 Choose this modular sofa if you need a large stylish corner unit, big enough for 4 adults. 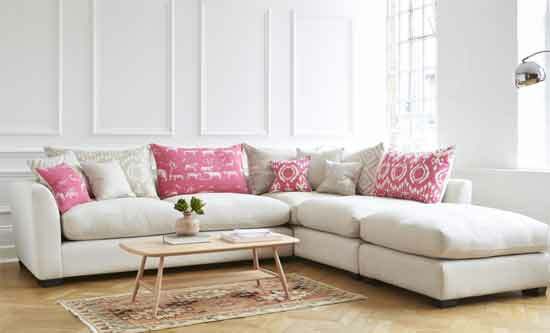 Seriously big, deeply comfortable and low-backed, our Hambledon modular sofa comes ready-styled with an eclectic mix of ethnic-weave cushions you could have picked up on your travels. The Whitstable is a modern take on a classic style. 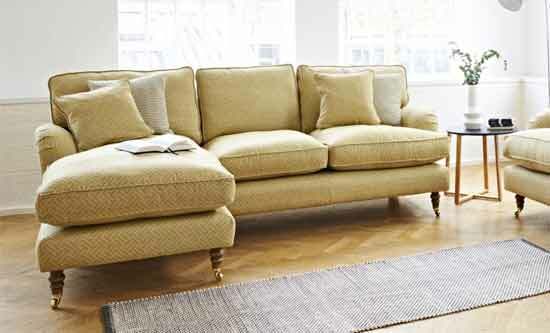 A firm but comfortable sit, the Whitstable range has something for everyone. The Whitstable corner couch unit is available in any fabric in the world, meaning you can get your perfect sofa, no need to compromised. Handmade for us in Britain, Wadenhoe is a true modern classic: laid-back and simple, subtle and comfortable, best in flecked and neutral pure linens. Quietly superior. 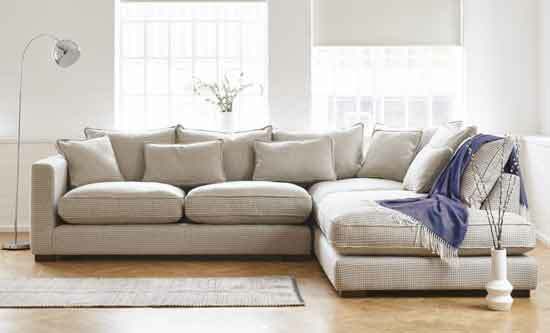 The Langland corner sofa bed is the perfect sofa for a busy family household. 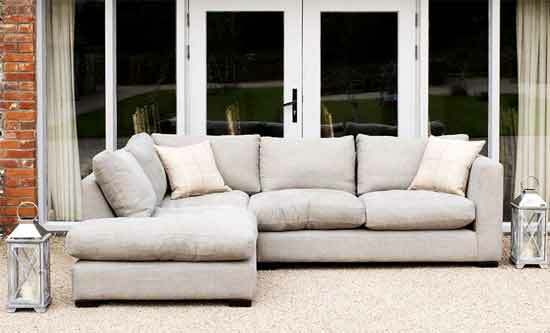 Big enough to seat 4 comfortably, this large lounger is ideal for hosting guest. The Langland opens up into a spacious double sofa bed, so rest assured your house guests will be more than accommodated. 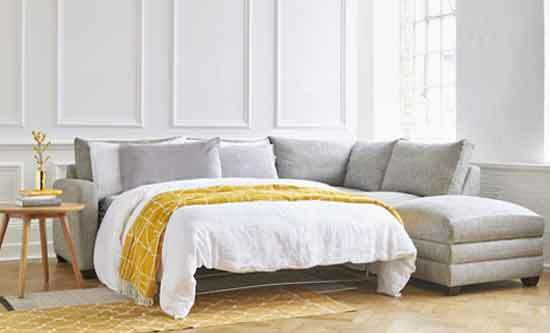 The Ashdown Small Corner Unit is a neat, compact, more traditionally-styled, left or right –handed modular sofa for a firmer, more formal feel.